It is not very often that certain events in your life affect you so profoundly and in such a way that you are compelled to help in any way you can. Let me get you up to speed with why I am feeling this way today and how you can also help. 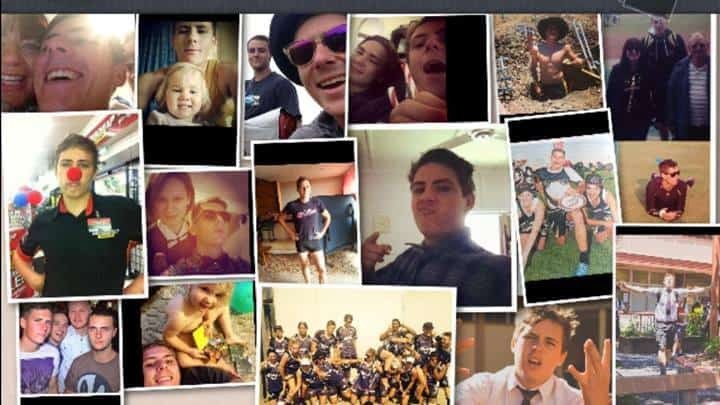 A bright young man, only just 19, with the rest of his life ahead of him was involved in a car accident on his way to work on Monday morning, as an apprentice electrician. Just like any of us, we all get up say good bye to our families and head out the door to work without any thought to what may tragically occur in the process. That event being a severe car accident that threatens to take his life. With injuries including the loss of both legs, a compound fracture of the pelvic, a broken wrist, collapsed lungs and many others, it is hard to even fathom how he is still alive. Let alone the massive struggle he has (along with his family) in the next coming days, months, years. This particular young man and his family I have known for the past 6 years, he was in my daughter’s grade at Mt Gravatt High and his younger brother is my son’s best friend. A typical hard working, good family, just like you and me, now suddenly facing life altering circumstances and challenges that are hard to get your head around, normally, let alone it being your own son. Having had a close family member involved in a motorbike accident and losing their leg as a result, I only understand a fraction of what this family must be feeling, but understand clearly the costs involved in the road to recovery. To this end close friends of Oscar have set up a Trust Fund called the Oscar Bickley foundation and I encourage you to donate what you can via bank transfer to the details on their face book page https://www.facebook.com/oscarbickleyfoundation Stockwells community of clients and friends will be looking to organise our BBQ trailer at work locations to raise funds, if you are interested please contact sales@stockwells.com.au I am hoping that together we can help lighten the burden for the family so they can concentrate on what is important, the recovery of their son.